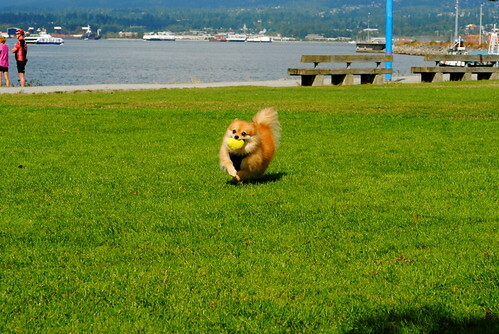 … Jordy has finally learned how to play fetch. Aw!! Yay! That’s huge!! Go Jordy go!! That’s something to be proud of, he looks fantastic. If you don’t mind the question, how have you handled your dog’s need to go out while you’re at work? (If you’ve covered this before, I apologize). @M – Thanks! Fortunately, I work close enough to work that I can come home each day at lunch, so he’s really only alone for four hours in the morning and then three hours in the afternoon. 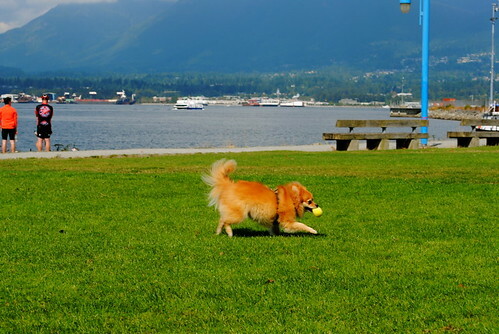 How did you teach Jordy to play fetch? My friend adopted a Tibetan terrier 8 or 9 months ago. She was literally a couple days away from being put down (it wasn’t a no-kill shelter) and very, very sick. Thanks to a lot of love and some meds, she’s a completely different dog now. And has never, ever shown an interest in playing fetch. She loves the outdoors (when it’s not too hot) and will play outside, but every time I throw a stick or a ball she just looks at me with an expression kinda like “yeah, and?”. Is there some kind of trick to it? @Ross – It just takes time and consistency. Use the same actions and same phrases each and every time. 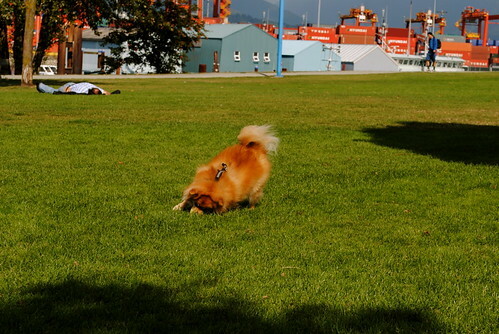 Clearly dogs don’t speak English but they do understand verbal cues, so if they associated particular words with a desired action, that will help. 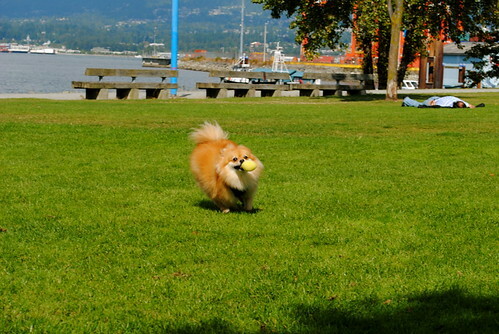 Start small and play fetch within a one-foot radius or so to start. Also, make sure you use a toy that the dog really, really love. 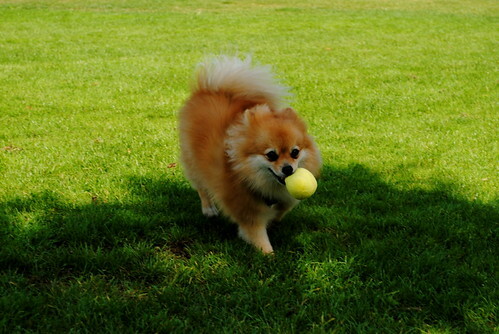 Jordy loves his tiny, squeaky “eggiwegs” so it’s definitely something that he wants to fetch! Hi Keira !!! i just realized i have not leave a comment in your blog in a while…i just want to share something with you since i know how much u love dogs; one of my past comments was about some links showing pictures of my dogs, sadly one of them died a few months ago (he was 15 years old), the other one my black Labrador is bringing some happiness to the house, 3 months ago she gave birth to 2 beautiful puppies Mya and Milly and that is the reason i am leaving this comment, check out the link !!! PS: Good to see Jordy is doing great under your care !!! That’s just too cute. And I’m not one to toss out the word cute all that often. But dang, that’s just too cute!